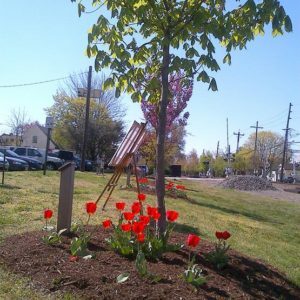 Donors support the Arboretum with a tax-deductible donation toward a variety of projects. Here are spring flowers, brightening the planting beds under the young trees. 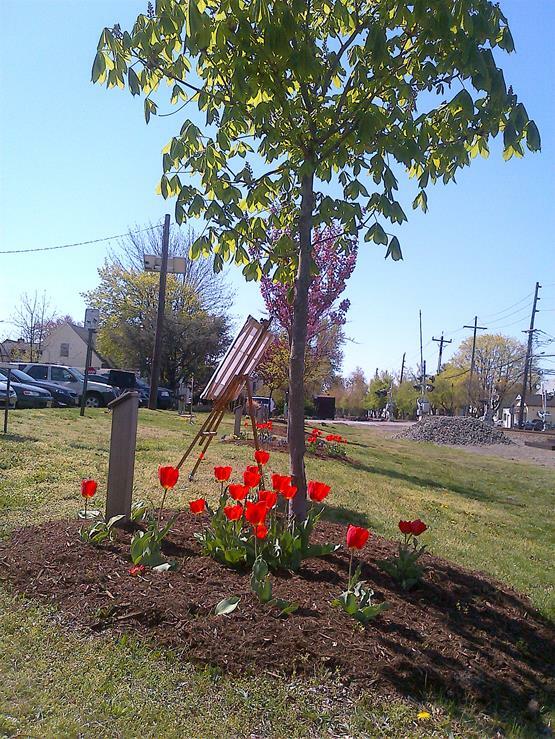 Planting through volunteer GS Troop (lots of fun), and tulips donated by a Friend of the Shade Tree. Do you have ideas for plantings? Let us know and we welcome all volunteers too! See the “About Us” tab, or call the Shade Tree Desk at 201-244-3920.